Dushan Mountain, eight kilometers away from the north of Nanyang downtown area, is quite abundant in jade and ranks first in terms of its output, among China's four most famous jades. 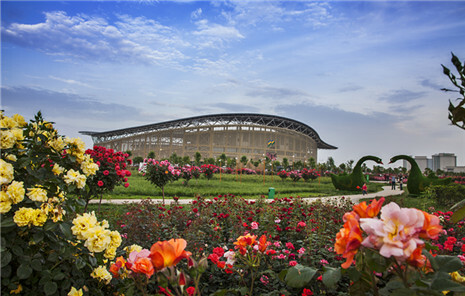 The production of Dushan jade has a long history. About 4,000 years ago, ancestors of Nanyang people had started to make instruments of production with jade. Nanyang jade carvings, mainly made of jade from the Dushan Mountain, can be classified into four categories, namely, figures, flowers, birds and beasts, with more than 120 types. 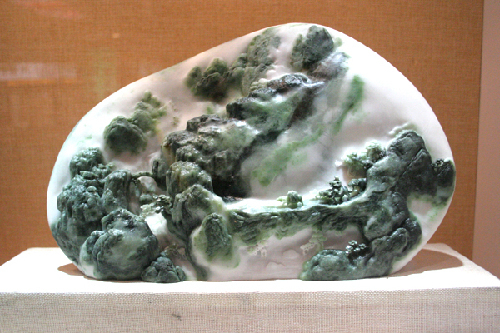 With the excavation and systemization by artists and scientific and technological workers, as well as absorption of other traditional techniques, the craftsmanship of Nanyang jade carving has been improved constantly, so that it has gradually formed its own unique artistic style and become well-known in the world for its techniques and colors.